Here are all the caravans we have located at Kiln Park Holiday Centre. Either click on a photo or follow the "View This Private Caravan Rental" link to view a full page listing of the caravan rental. Details in the full listing include photographs of the holiday caravan, a full more detailed description of the static holiday caravan, the rental rates, availability, any special offers or last minute discounts and of course the contact details for the holiday rental caravan owner. Our caravan is sited on a quiet corner plot in Kiln Park. It has 3 bedrooms and a sofa bed, so can sleep 8. It has a shower room with toilet, & a second separate toilet.The kitchen is well equipped. The lounge has a TV and DVD & there's another TV in the main bedroom. The lounge has been newly curtained and re-upholstered & has wooden flooring. It has a private patio area, with patio furniture. 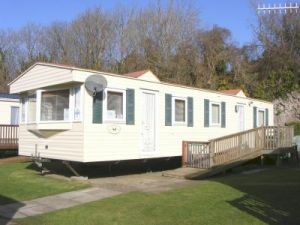 Lovely family caravan.Three bedrooms with ensuite to the master bedroom. French windows open on to contained deck area ideal for relaxing. Beautiful sitting area with electric convector fire with stone bed feature. Close to shop and all amenities, situated on a quiet side road in the park. Private Parking bay next to caravan. 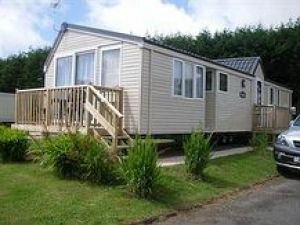 Kiln Park Tenby a privately owned luxury Hathaway ABI two bedroomed caravan. Save on the brochure prices by going direct to the private owner who takes pride in maintaining their caravan as their own second home. Tenby, Kiln Park has a brillant entertainment complex, wonderful relaxing beaches and much, much more. The ABI horizon that is situtated in Tern 11 is a lovely family caravan that has lots of extras to keep the little ones busy. 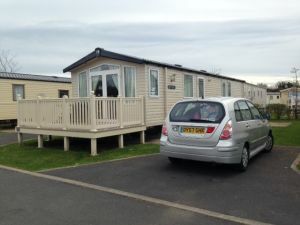 The caravan is a 3 bedroomed caravan and central heating through out the caravan. Free gas and electricity included in price. Penally Court 44. Two Bedroom Atlas Concept Caravan. The caravan is double glazed with gas central heating.